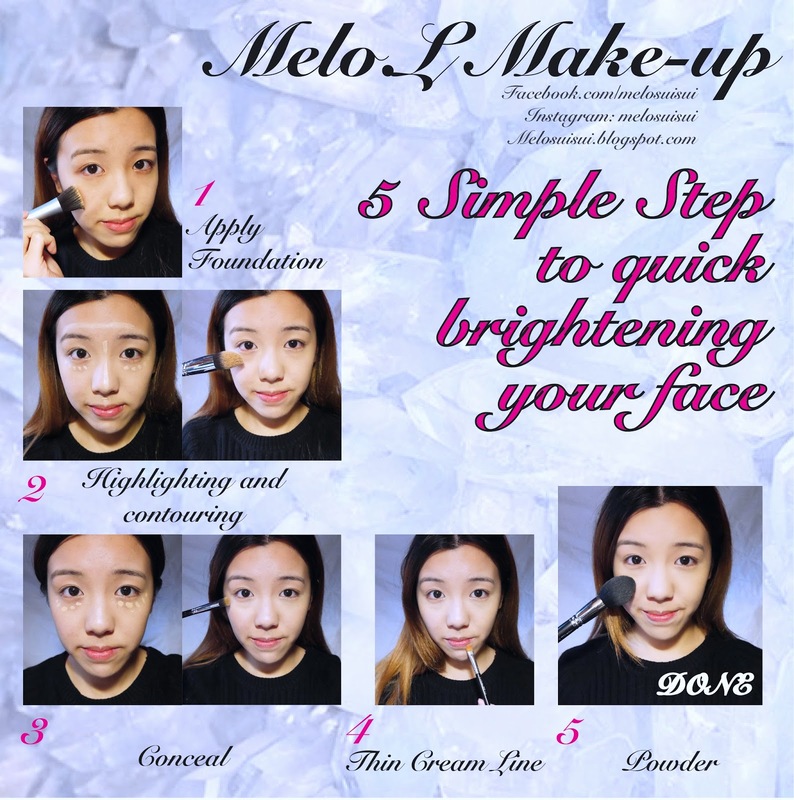 AESTHE M TICS : MELO.L - "5 Simple Step to quick brightening your face"
MELO.L - "5 Simple Step to quick brightening your face"
"5 Simple Step to quick brightening your face"
I know it's simple, but maybe can help some of u to do your first make-up by yourself ! Right!? Anyway....Hope u all like it!